The role of excipients in the global market is rapidly evolving. Discover all the new inactive ingredients & solutions, manufacturing services & processes, technology advancements and regulatory updates only at Excipient World 2019. The conference & expo is designed to help manufacturers produce safe and effective drugs, combination devices and healthcare products. In just three days, Excipient World will better prepare professionals to meet consumer demands, overcome formulation and supply chain challenges and stay up-to-date on the latest global regulations and compliance mandates. BASF launched parenteral excipients designed for small molecule applications in October 2018, including Kollidon® 12 PF, Kollidon® 17 PF, Kolliphor® HS 15 and Kolliphor® ELP. BASF plans to launch Kollicoat Smartseal 100 P by mid -year, a powder version of Kollicoat Smartseal to support market needs in the areas of taste masking and moisture protection. Kolliphor® P 188 Bio is a high purity poloxamer P 188 designed for biologics manufacturing: Kolliphor® P188 Bio is a premium, fit-for-purpose product designed to eliminate risk in cell culture manufacturing. It is used as an additive to the cell culture medium to reduce the shear stress, which improves cell viability and the resulting biologic drug yield. For use in cell culture, the purity of the product is critical and requires special attention to assure every lot produced works well in cell cultures. BioSpectra has developed its own proprietary process to manufacture high purity Sodium Hydroxide (NaOH) Solutions. Our new three step manufacturing process, located at our fully cGMP compliant, 150,000 square foot, FDA registered and inspected facility in Bangor PA, USA is an industry leading example of our commitment to providing the safest and most secure supply chains. Validation of the entire process from test methods to manufacturing system is underway and full reporting will be completed later this year. Products are commercially available starting in April 2019. The overall system is capable of producing over 1,000,000 liters per year of various molarities of high purity, low Chloride, Sodium Hydroxide, made with USP or WFI grade water. Products to be launched sequentially will include 2N, 5N, 10N, 25% and 50% blends in package sizes ranging from 1000-liter totes, 200-liter drum, 19- & 10-liter pail and 4- & 1-liter bottles. This system will be the cornerstone of a new GMP, Large-Volume-Liquid manufacturing area, that will produce many other core, key GMP-LVL’s. BioSpectra announces advancement in Carbohydrate production to include Low Elemental Impurities in the low PPB range. These stringent demands will be added to the Low Bioburden Low Endotoxin specifications for its three, recently launched carbohydrate products; Trehalose dihydrate, D-Galactose and Sucrose. BioSpectra is completing final commercial validation of these three products and will have them available to the market by midyear. 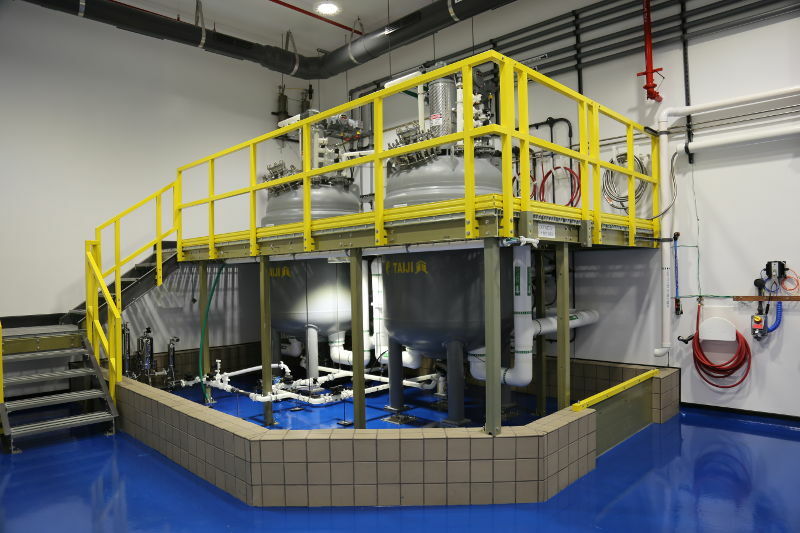 Chemtrade is excited to announce the commissioning of our state-of-the-art cGMP adjuvant manufacturing plant, going live this May 2019. Medelpharm will be showcasing their brand new Benchtop R&D tablet press, the STYL’One Nano, the latest example of Medelpharm’s expertise. Omyapharm® is our newest excipient platform offering faster disintegration, higher compactability and carrier functionalities. Please stop by our booth for more information. The two leaders in chemical and ingredient distribution, Univar and Nexeo Solutions, have joined together and become Univar Solutions. The merger provides our clients with expanded services and solutions including more warehouses, expanded fleet of trucks, a broader base of ingredients, and much more. attend education sessions presented by our Gold Sponsors.